Some people love the Honda S2000 for its high revving four cylinder, and some hate it for not having much low end power, but the S500 beats it on both. 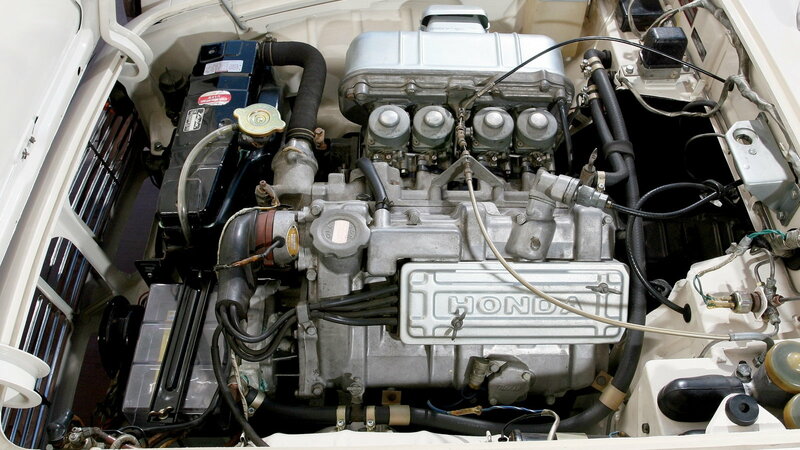 The redline from the tiny 531cc DOHC four cylinder was 9,500 rpm, which was Formula One territory in 1963, and it put out just 44 hp at the peak of 8,000 rpm. Those power and displacement numbers may seem tiny, but this was a car that weighed just 1,500 lbs, so top speed was a respectable 80 mph. These cars were solid performers at the time, and could keep up with other sports cars like the Bug Eyed Sprite, or MG Midget. 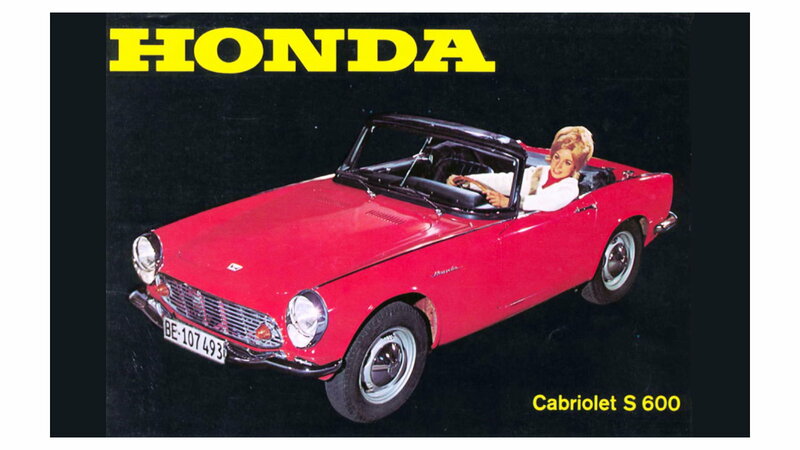 Honda managed to sell just 1,363 of them before evolving the design into the very similar S600. 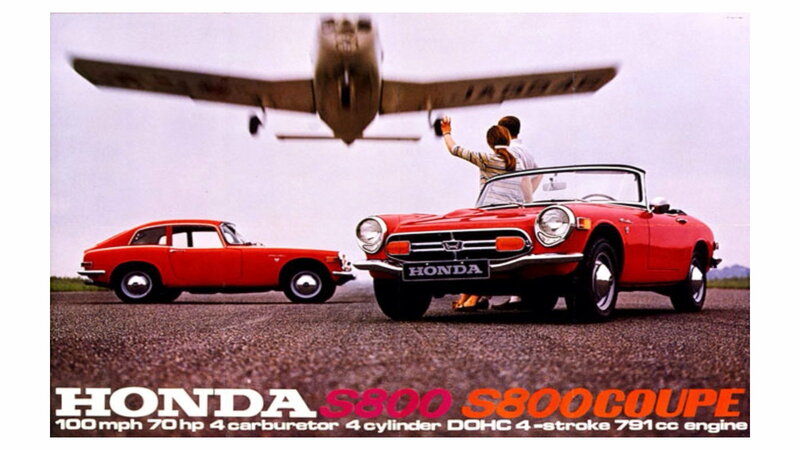 The car was available from the start with left hand drive for export from Japan to Europe, because Soichiro Honda had his eyes set on making the best cars in the world. 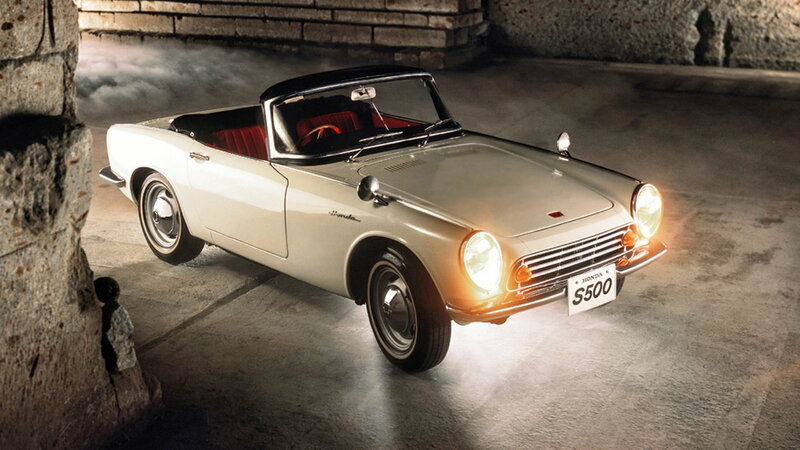 The same year Honda introduced the S500, they set their sights on racing building their own Formula One racer as well. 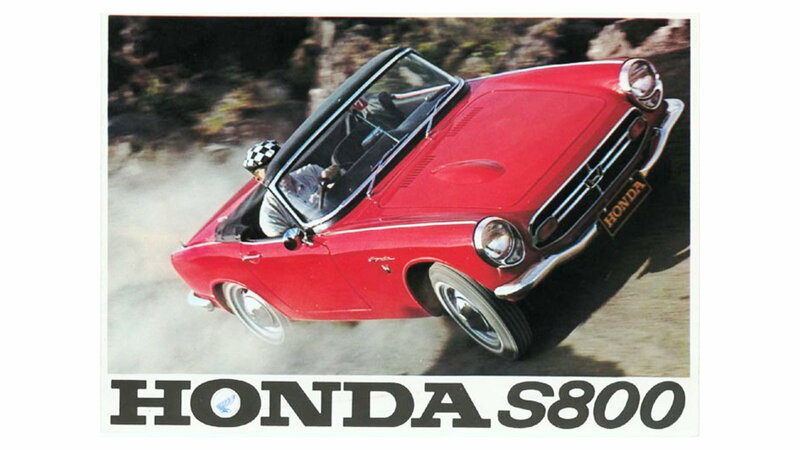 In the middle of 1964, as was fairly common back then, Honda transitioned from the S500 to the S600, with a 606cc motor putting out 57 hp at 8,500 rpm, and a top speed reported to be 90 mph. Weight was slightly higher because there was more bright trim, and things we now take for granted like a heater, radio, and more were options. 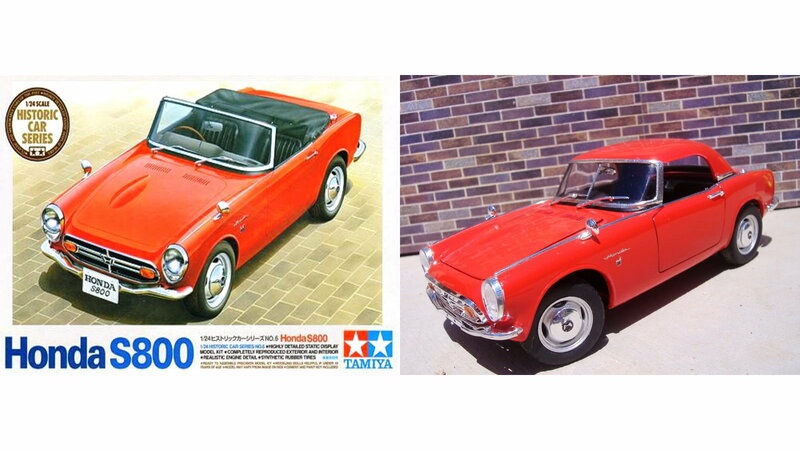 These cars were now gaining traction and sales worldwide totaled more than 11,000 by the time they wound down, plus nearly 2,000 hard top fastbacks. Of course these little over achieving 2-seaters were raced. 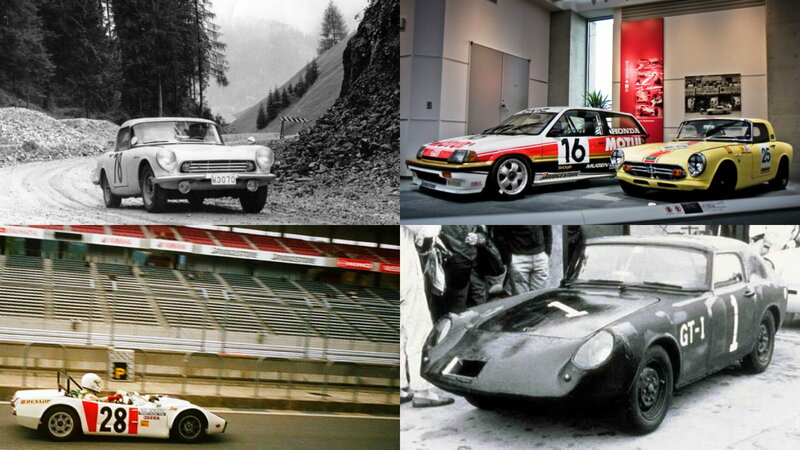 Several S500/600 cars were shipped to Europe and competed in the Liège-Sofia-Liège rally in 1963, and you can read all about them here. The S800 in yellow next to the Civic hatch racer famously won its class at the 12 hour race at Suzuka in 1968, you may recognize it from the Gran Turismo game. Japanese Nostalgia Car did a really nice write up of it here. 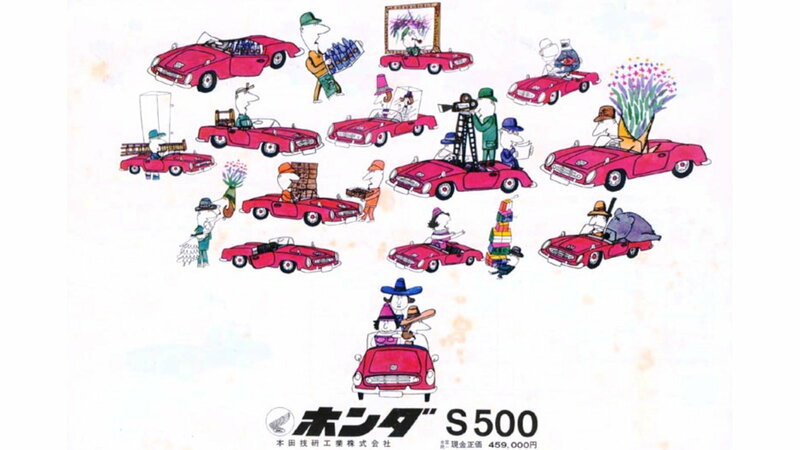 The two on the lower row of the picture were custom sport racers created by Dome, based on the little Honda. 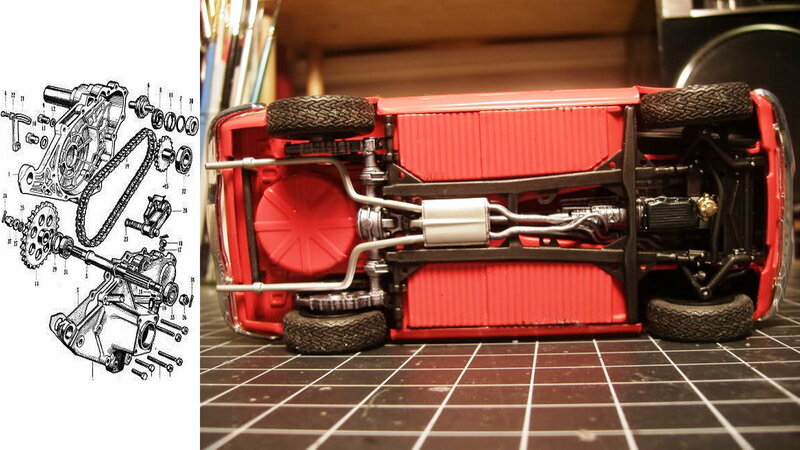 The one at right is the Karusu, and the more radical racer at left is the Macransa, and you can read all about them here.